Featuring a distressed finish topped with lace heel, toe, and collar overlays, this design is sure to add a little attitude to your look while putting a smile on your face. The supple leather lining and cozy memory foam insoles work together to wrap your feet in ultimate luxury. 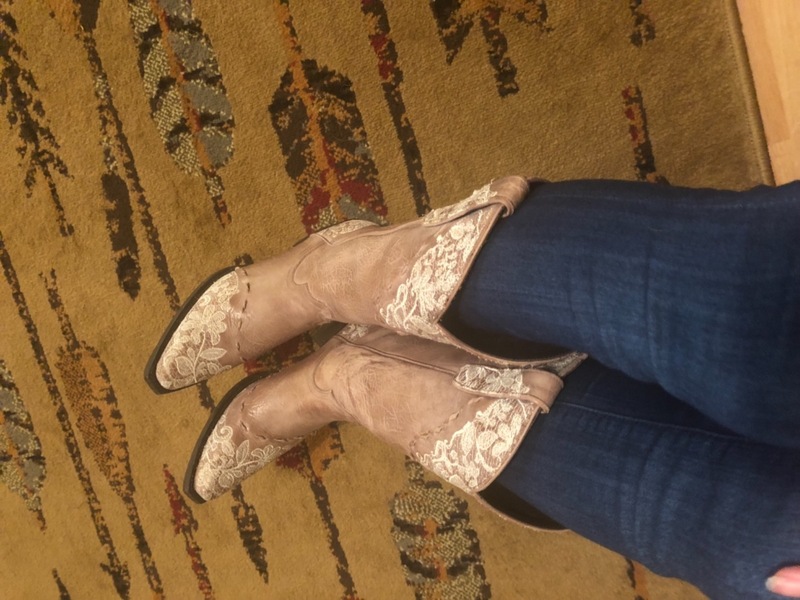 My overall experience in purchasing these boots were AMAZING! I never expected these boots to be as beautiful as they were until I opened the box. They are the perfect color and the bits of lace plus the blue bottoms are just perfect. I bought these boots to wear to my wedding in July. The day after they arrived, I had my first dress fitting and seeing them on with my wedding dress brought tears to my eyes. They truly looked so perfect and I couldn't be happier with my boots! I am so happy with the purchase of my Jeni Lace boots! They are very comfortable and really well made! Will purchase more in the future! I was gifted these boots and I love them! Great quality and comfort! Turquiose bottom, what a special touch.